I grew up going to my great aunt and uncle's cottage on Georgian Bay. It was located at Cove Beach, to be exact. My family would spend weekends throughout the year up there, and if we were really lucky... a week or two each summer! I loved being up there, no matter the season, as there were always adventures to be had! One adventure, in particular, inspired a lifelong love of canoeing, which eventually lead to a career as a canoe and kayak guide on my beloved Georgian Bay. This particular adventure began with my determined 8 year old self dragging my great aunt and uncle's old orange coleman canoe from their back lawn down to the bay. I loaded up the canoe with a life jacket, a paddle, and an old beat-up copy of Bill Mason's 'Path of the Paddle'. I had a plan, directed by my dad's advice, "always paddle into the wind. ", and if I happened to get blown way off course... I would just swim back. It was a solid plan! Lucky for me, it was a calm day on the bay. I spent the entire day out in the canoe with 'path of the paddle' open in front of me on the bottom of the boat. I recreated Bill's j-stroke, c-stroke, draw and pry. I was solo canoeing! I returned from my adventure sunburnt, thirsty, and feeling an intense sense of accomplishment! At that moment, I knew that Canoeing and Georgian Bay would an integral part of my life. They were now a part of my soul, and a never-ending source of inspiration. My love for paddling has grown to include kayaking, outrigger canoeing, marathon canoeing, rowing, paddle boarding... anything that involves a paddle or an oar... they seem to operate like an extension of my own arms! 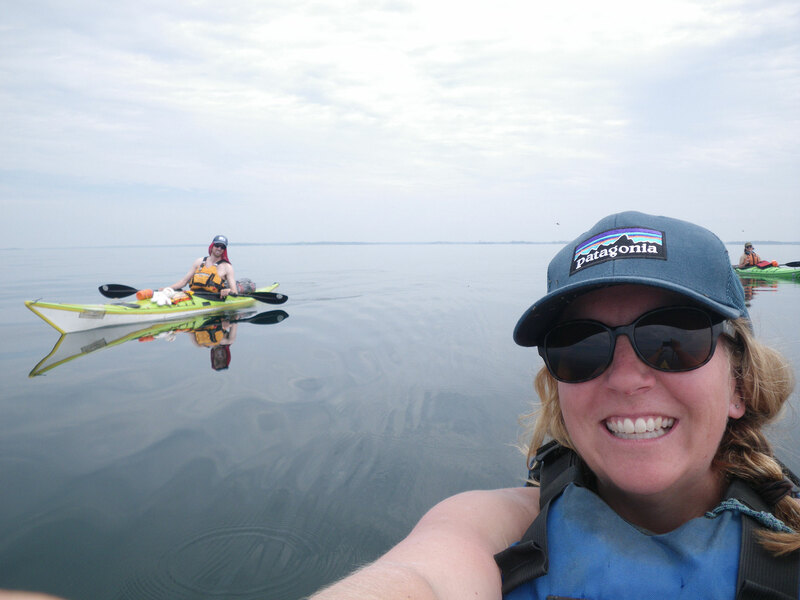 I still head out for multi-day paddling adventures on the bay each summer, I swim in its gloriously refreshing waters whenever i'm close to it, and spend the winters skiing the slopes overlooking its frozen expanse. This past summer, I married the love of my life atop the escarpment, overlooking the mighty bay. It was a beautiful day. A day that I realized that I no longer had to solo canoe.